Brandon grew up in the small town of Valley Springs located in the foothills of the Sierra Nevada. 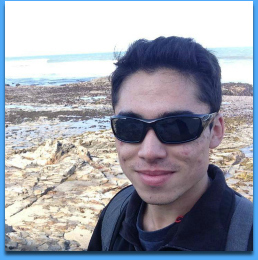 Brandon was a senior Ecology & Evolution major at UC Santa Cruz. He hopes to one day become a middle school or high school science teacher here in the Santa Cruz area. He has completed internships in classrooms at Pacific Collegiate, Aptos High School, and Harbor High School as part of the UCSC Cal Teach Program. Michaela is a 4th year Marine Biology major with a STEM Education minor. She grew up in NJ, always within walking distance of the ocean. Her love of the mysterious marine environment, as well as her family and teachers, inspired her to become a science teacher. While attending UC Santa Cruz for college, she became interested in the UCSC CalTeach program. Michaela has completed 3 internships at Santa Cruz schools. Michaela jumped at the chance to work with Calteach again, especially when the unique opportunity to work in a lab was offered.